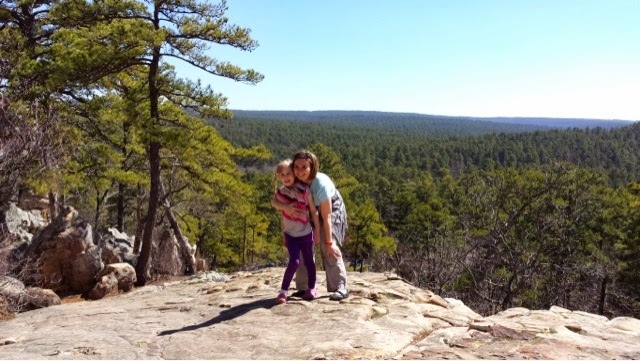 Since this was the first year Alice was in school, we had to take advantage of Spring Break! 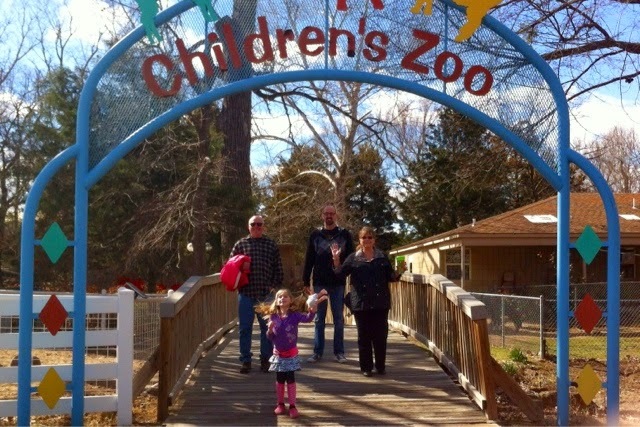 Alice has never been to Oklahoma to see her relatives who lived there, so we decided that would be a good road trip. 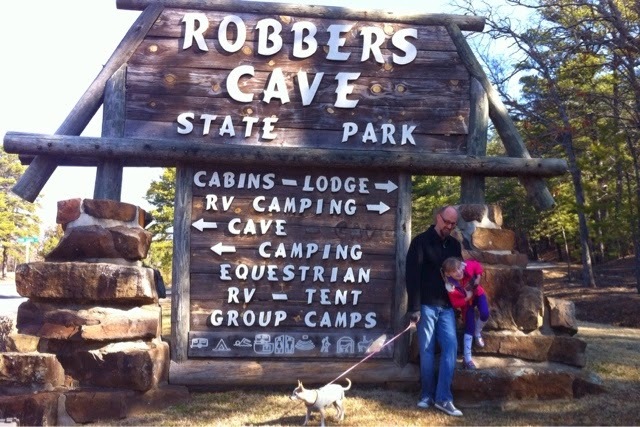 We spent 2 days at Robbers Cave State Park which was about 2.5 hours from Tulsa. We rented a pet friendly cabin, cooked s'mores, hiked, and went on a hay ride. 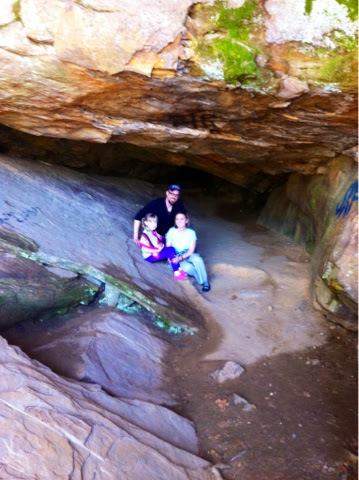 The hiking to the cave was beautiful and Alice did great! Robber's Cave. Also of note is that Alice found her name carved into the rocks outside the cave next to a date of 1910, which incidentally is when my paternal grandfather was born. That same grandfather told a story from his early childhood about the Younger gang sleeping in his family's barn and paying for their hospitality and silence with a some cash under one empty plate and an old revolver underneath the other empty plate. 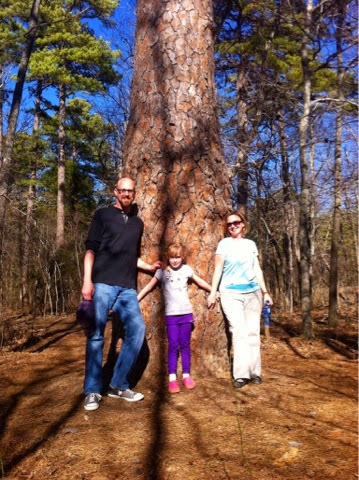 Second biggest pine tree in OK.
Good times with Uncle Charles and Aunt Pam. This bear was interacting with us quite a bit... Here you see it going for Cristy's head. Just before it had swiped a paw at Alice which startled her, which made her mad, therefore she is growling back at the bear. 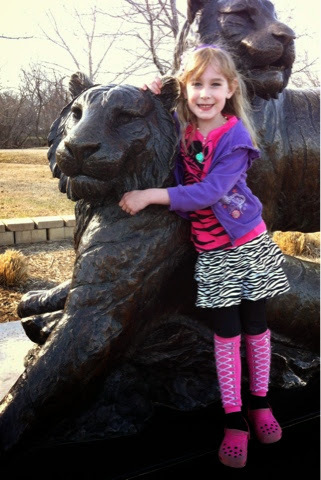 Alice hugging statues outside of the Tulsa Zoo Entrance. 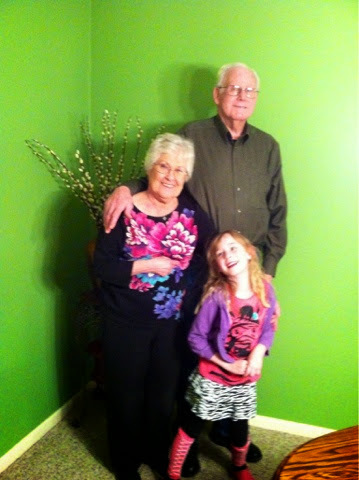 Nana Betty and Popa Jack with Alice. We had a very nice dinner and hang-out at their place in Tulsa. We also had a very nice time relaxing and eating over at the Kings the night before. 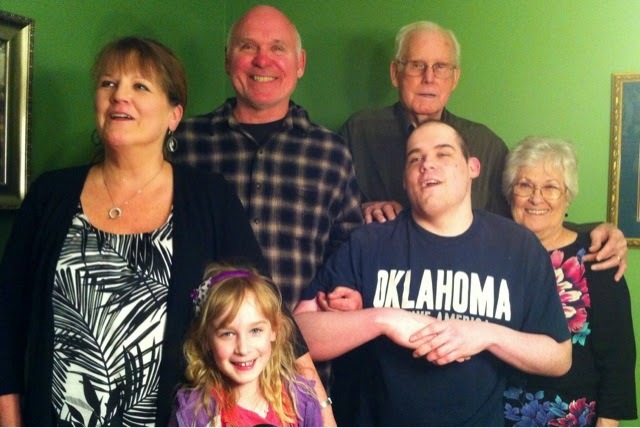 Alice with the Tulsa Family! We had a fun Spring Break! 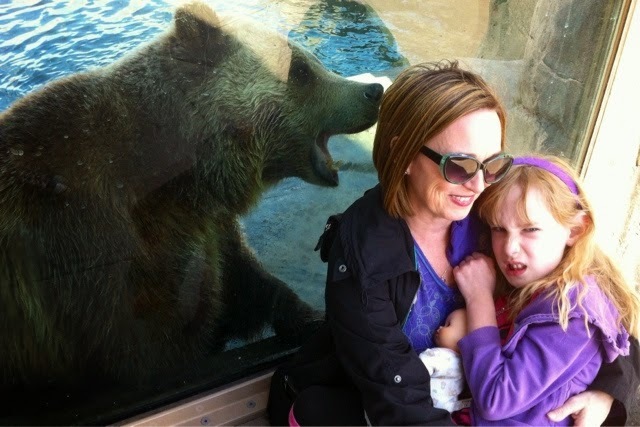 I'm glad the bear didn't eat you :-) Looks like a lot of fun! !